Catching up with my family, seeing friends, sale shopping and cinema trips have consumed the entirety of my holidays. I hope you all have very full bellies and lots of lovely new possessions to admire. I know I certainly do! In fact, this post is dedicated to all of the beautiful gifts that I have received for Christmas. Well, I say 'all' of the gifts... but I will of course be focusing specifically on the Disney items that I have received! 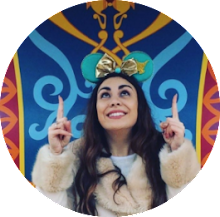 Please let me know of any Disney gifts that you received this Christmas in the comments below. I would love to hear about them all. For those of you that have read my post Grumpy goes to Disneyland, you will not be surprised to hear that my Boyfriend Chris is less than thrilled by all of the new Disney items which are popping up in our home. Thankfully, he is included in this first item so perhaps that means he is a little more accepting of it? Probably not! 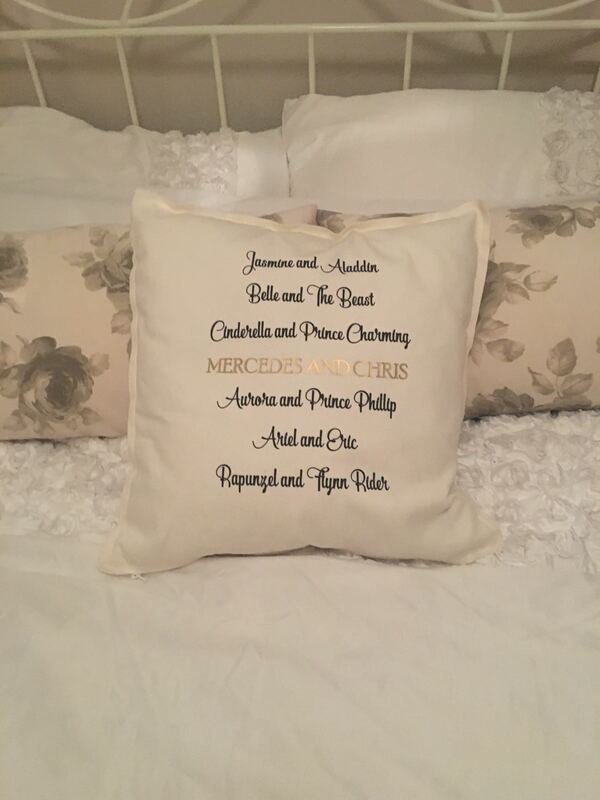 This gorgeous Disney inspired Couples cushion was included in my stocking from Santa. 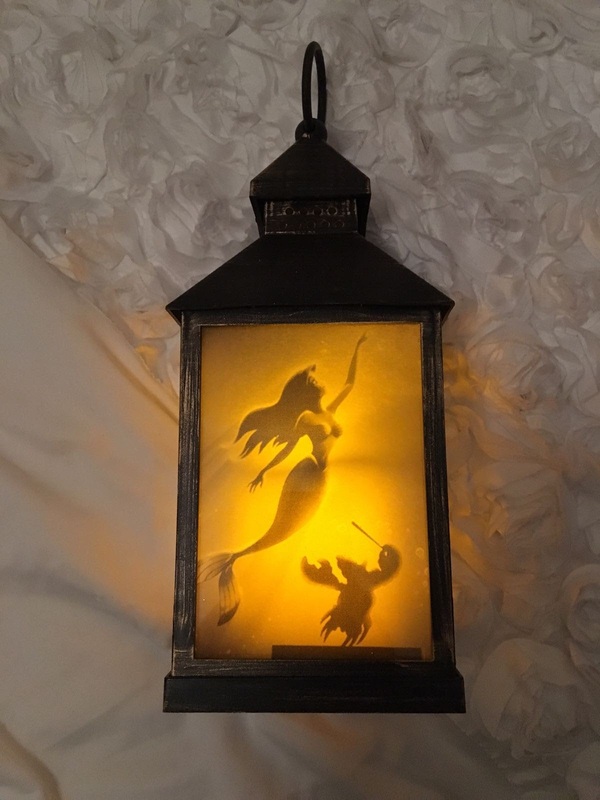 I am so in love with it and think it's a beautiful additon to the bedroom. I am also very impressed with how well Santa chose the Disney Couples featured... all of my favourites make an appearance! Ariel, eat your heart out! 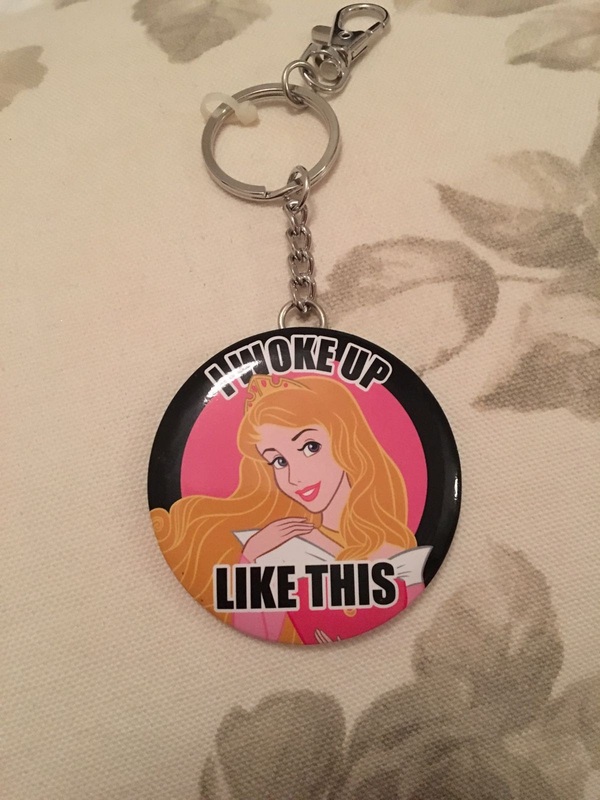 Also included in my stocking from Santa was this cute Sleeping Beauty key chain which features the famous Beyonce lyric 'I woke up like this', and has a mirror on the reverse. Very useful. Princess Jasmine PJs - they are so soft and such a fun print! 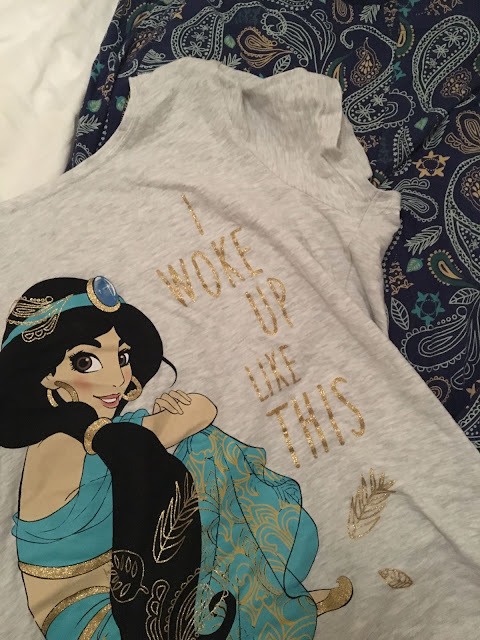 In keeping with the 'I woke up like this' theme, Santa also gifted me some gorgeous Princess Jasmine PJs. 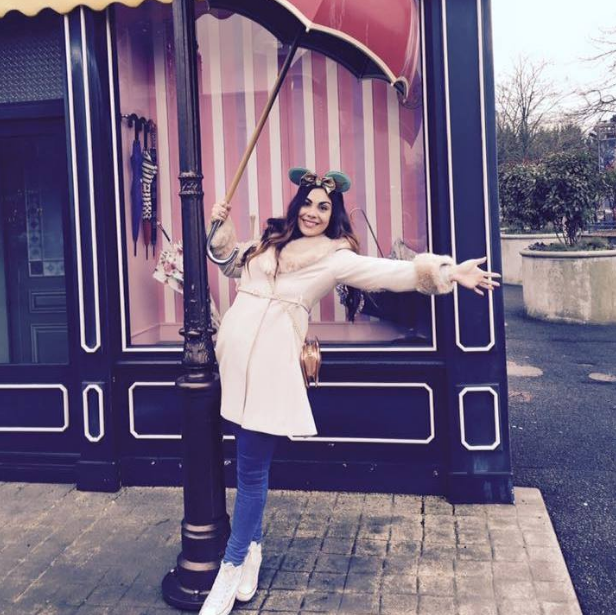 The printed leggings are divine and proove that Disney is most certainly for grown-ups as well as kids too! 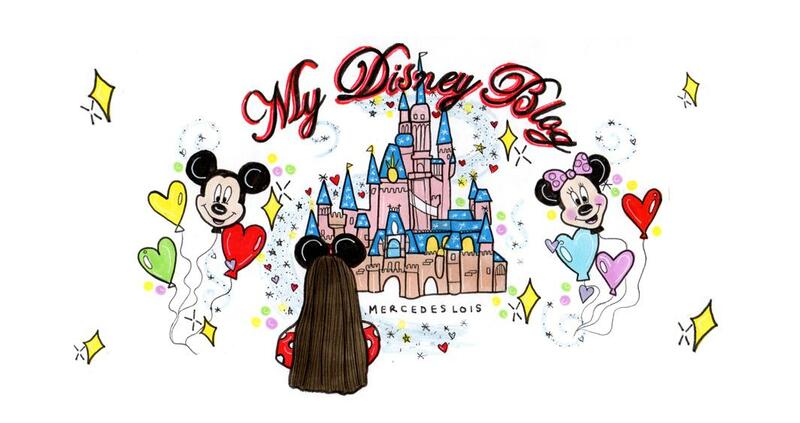 If you have read my post Ten Disney inspired LUSH products, you'll know that as well as Disney, I also have a huge LUSH addiction... particularly for the products that have even the slightest little nod to Disney movies! 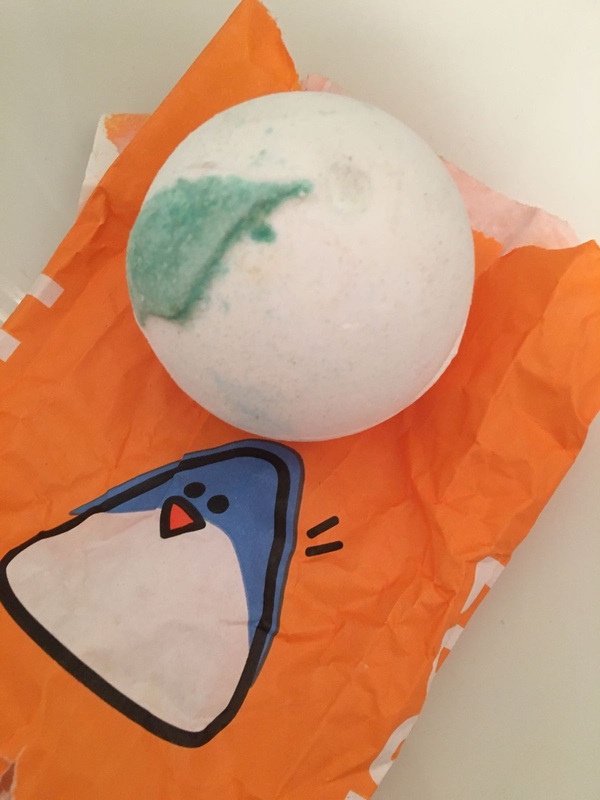 For that reason I was thrilled to find So White Bath Bomb in my stocking this year. I have since purchased a few more in the LUSH Boxing Day sale. Santa certainly has been a busy bee! I was also very fortunate to receive the exclusive Cath Kidston X Disney pen and notebook featured above in my stocking. These were part of the limited stock collection released at the beginning of December. I really wanted to get to the store myself but sadly, I was still recovering from my foot operation at the time of its release. Good ol' Santa strikes again! I have been a huge fan of Thomas Kinkade's Disney artwork for a while now but this is the first time that I have ever owned anything featuring it. I was super pleased with this when I opened my stocking and saw it inside! The imagery is gorgeous. I will try my best to share the beautiful artwork with you on Instagram as the month's pass throughout 2017. 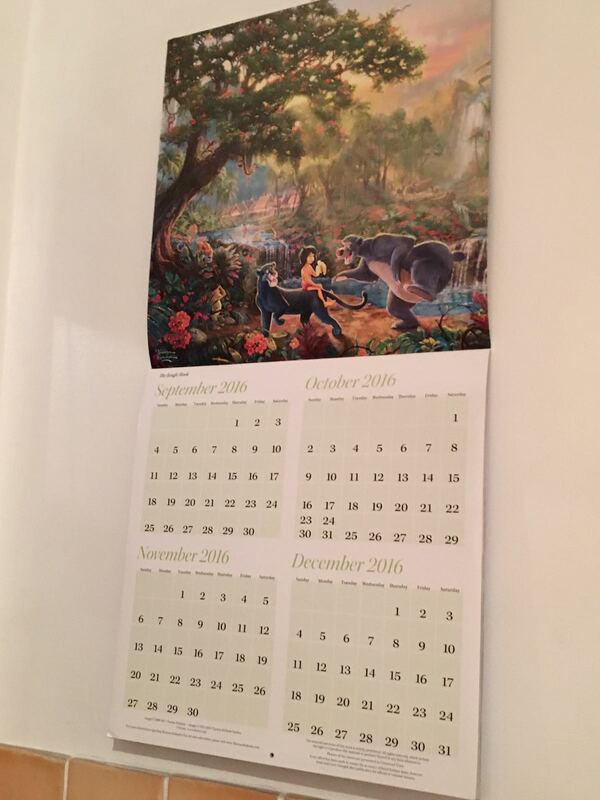 At the moment, I have the calendar open on an introductory Winter 2016 page which featured a gorgeous image from Disney's The Jungle Book. And finally, Santa was also able to pick up this cute little Mickey and Minnie chalk board which is now placed in the kitchen complete with WiFi details and passwords for all of my passing guests! 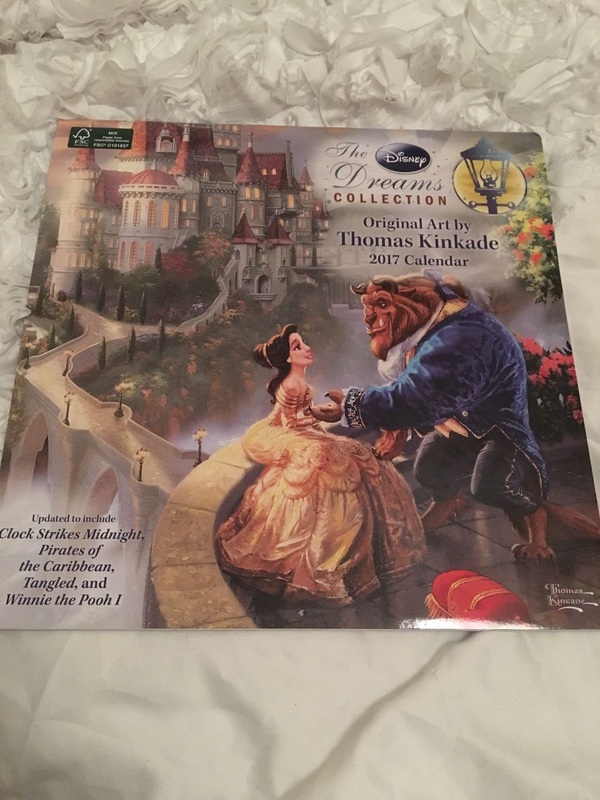 But it's not only Santa who decided to go down the Disney route with my Christmas presents this year; here are a few more items that I was very lucky to receive. I received this beautiful Elsa trinket box from my cousin Howard and his partner Laura. What's even more amazing is that they also bought my younger sister Morgan the matching Anna! We were both so delighted and have decided to store out matching Pandora bracelets inside the Princesses. Aladdin, Beauty and The Beast, The Little Mermaid and Frozen. I couldn't believe it when I unwrapped this book. I have had my eye on it for a little while and was so surprised to receive it. My Mum got this for me - she always does incredibly well with Christmas presents - so I should have seen it coming! The book is a must have for all Disney Park fans and details everything from original concepts of Disneyland in Anaheim right up to the most recent park map of Disney's Shanghai Resort. This book has made my desire to visit every Disney park in the world grow even stronger and I am sure it will bring me hours of entertainment! This year, I participated in Twitter's Disney Christmas Gift Exchange; the idea is that a bunch of Disney bloggers and fans from Twitter all club together and buy each other a Secret Santa gift. It was the first time I had ever taken part in anything like this and I was super excited to give it a go. 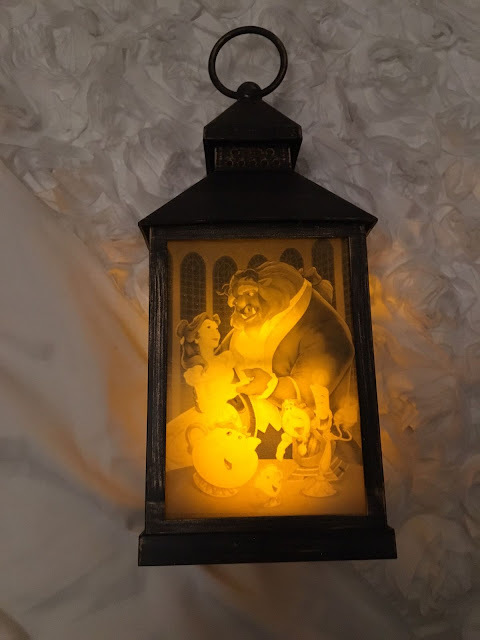 My Secret Santa got me this beautiful hanging sign depicting a scene from Disney's Fantasia as well as some Mickey earrings, a Beauty and The Beast necklace and a Princess Jasmine inspired bow. Perfect gifts. I am very grateful. This next item was what my gifts from Chris' parents came in! I love my reusable bags and even more so when they have such amazing designs featured on them. Last year it was a pug, this year Disney... it gets better and better! I can't wait to go to Tesco with this in hand. I have needed a wheelie travel bag for so long! 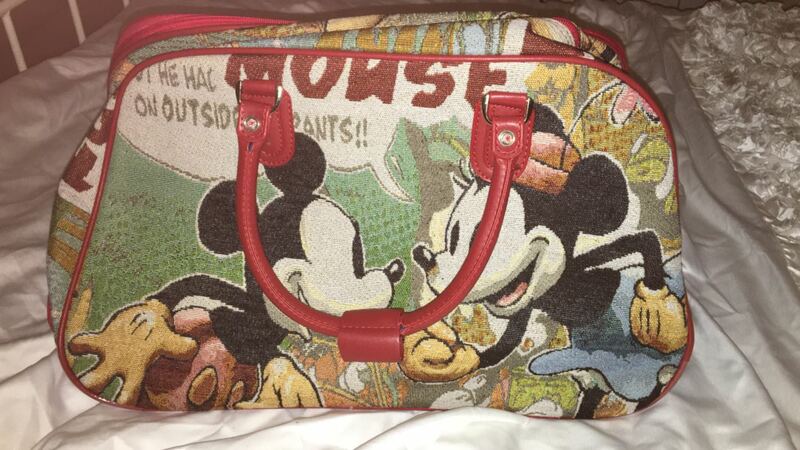 And last but certainly not least, I was gifted this gorgeous Mickey and Minnie travel bag by Chris' Auntie Leigh and Uncle Simon. I am so, so in love with it. The fabric is a gorgeous, soft texture that reminds me almost of Mary Poppins' Carpet Bag and I love that the design is good old, vintage Disney. It is so perfect and I have been needing a bag with wheels for ages! Other notable mentions include Minnie Mouse socks from my Auntie Maria and Uncle Brian and Disney Blu Rays from my Grandad. I am sure there are other things I have missed out!